Dr. Damon Williams, senior vice president for programs, training and youth development for the Boys and Girls Clubs of America, visited campus on January 27 to talk to students, faculty and staff about living out a commitment to diversity in the 21st century. He centered his talk around the twin pillars of change that he feels are necessary in order to make this commitment (strength and love) and vouched for the importance of building both individual and institutional diversity strategies. Ultimately, his hope is that we can help to train a new generation of leaders who are fully prepared to live, lead and serve in a diverse, global and interconnected world. In addition to his leadership role within the Boys and Girls Clubs of America, Williams has served as associate vice chancellor, vice provost, chief diversity officer and member of the educational leadership and policy analysis faculty at the University of Wisconsin-Madison. 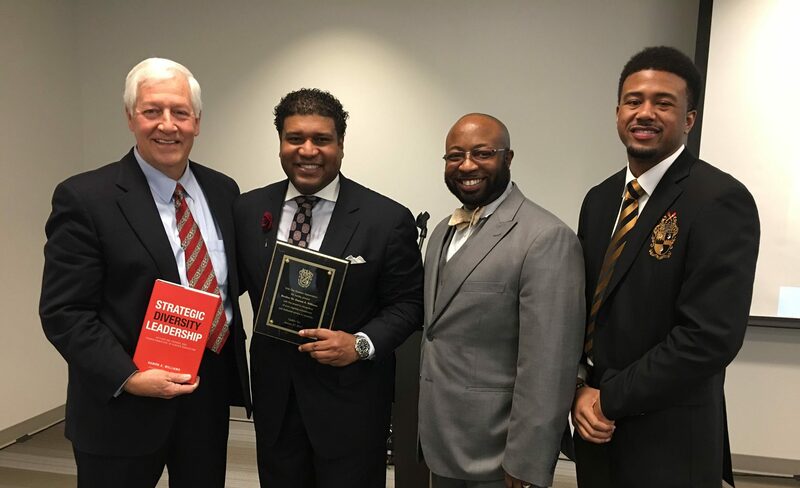 He has authored two books, “Strategic Diversity Leadership: Activating Change and Transformation in Higher Education” and “The Chief Diversity Officer: Strategy, Structure, and Change Management,” the latter being co-authored with Dr. Katrina Wade-Golden. Both of these publications provide a sophisticated and nuanced approach to assist leaders with the overall process of leading diversity-themed change and developing sound diversity infrastructures and strategies.